The stylish Koh-I-Noor Natural Bristle Shower Back Brush offers a long handle so you can clean those hard to reach spots on your back. 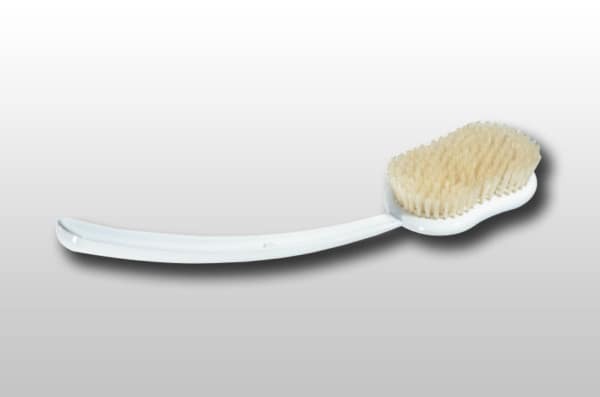 Additionally, our natural bristle brush will exfoliate the skin. The brush comes in two colors, black or white.